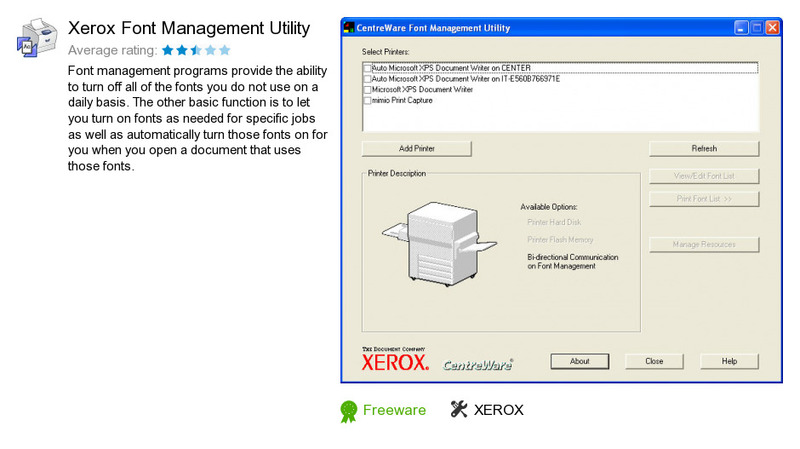 Xerox Font Management Utility is a software program developed by XEROX. We know of versions 3.6, 2.3, 2.2, 2.1, 2.0. Version 3.61 is available for download at our site. XEROX also publishes Page Accountant and Xerox Phaser 3010.